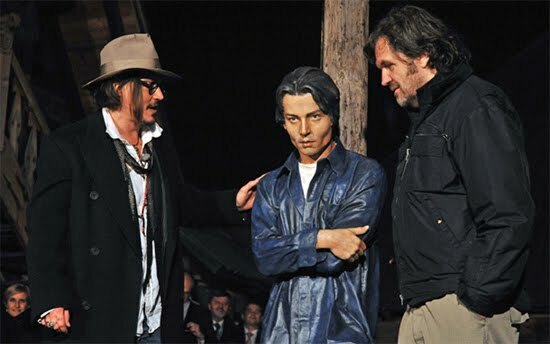 In addition to the statue, Johnny also received the “Award for Future Movies.” All though many people think that the statue doesn’t look like Depp at all, the movie star himself made it clear that he liked it. 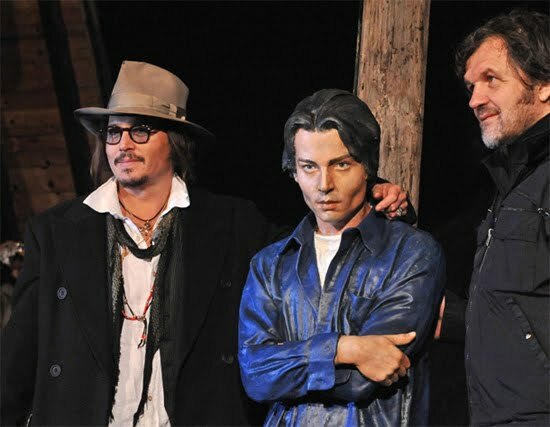 It looks like Jack White. You didnt see the whole village. Everithyng is made of wood and it is not proportional. 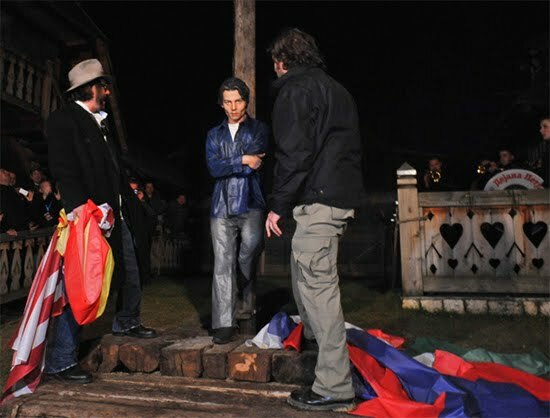 They’r just paying respect to him. 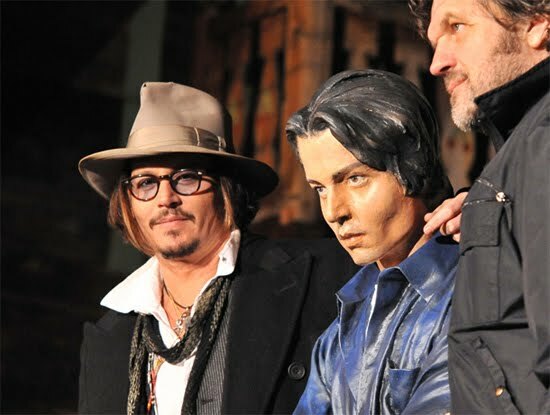 probably the statue turned out EXCELLENT! but then they dropped it on face and had to remake it in the alst minutes. I don’t know about the face, but that hand is eerily life-like. Giving me the creeps. 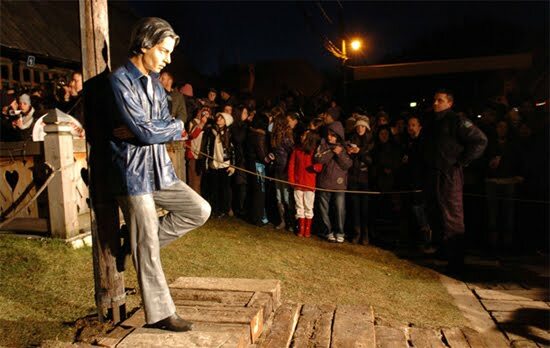 He is not upset about getting a life sized statue, he is upset that they are passing a Keanu Reeves statue as him. 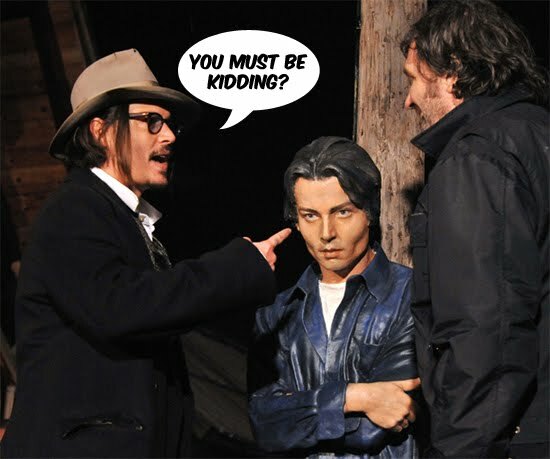 Johnny Depp is so fine, that it is impossible to re-create his gorgeousness!